Is Heartworm Gradually Widespread in Australia? 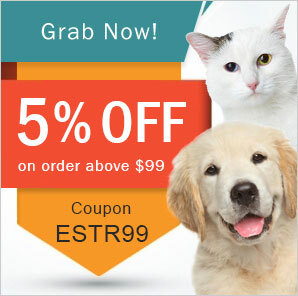 When it comes to your furry companion, you are the key supporter of his long term well-being. So, your close attention would possibly work well in that case, especially when the climate begins to warm. Whether your dog spends more time outdoors or loves to venture out of your own back yard, he is at high risk to the exposure of pesky heartworm disease. Unfortunately, the heartworm is prevalent throughout Australia. Initially, this was exposed in subtropical/tropical areas and northern temperate areas. Then the disease has been gradually reached southward and now covered most of Australia. But, luckily it is 100% preventable. How the heartworm spreads between dogs? Key reason: One mosquito bite. When a mosquito bites a heartworm-positive dog, it hoists tiny larvae called microfilariae from the dog’s bloodstream. Subsequently, that mosquito bites another dog and infects him with the heartworm larvae. Within few months, these larvae grow and move around to the heart and lungs. And then turn into adults, a threadlike worm. This parasite causes very serious damage to the vital organs – heart, lungs, liver, and kidneys. When left untreated, it often results in heart failure and pulmonary artery complications. Is there a possibility of infestation in other animals? Whereas the heartworm spread in Australia, relatively few dogs are heartworm positive. And, it is not just affected to dogs, but cats, foxes, ferrets and dingoes are also on risk to these infections. These animals are rarely infested with heartworm. The warm weather, humidity and floods will drive up the heartworm infection rate. Such weather is very common in much of Australia, so all dog owners must remain vigilant about keeping your pampered pooches safe. Can heartworm be successfully treated in dog? Heartworm is probably treated, but it is quite risky if your dog is infected with the disease, particularly in the later stages of the disease. If your dog has large numbers of adult worms and immature worms, your dog requires a blood test, a series of injections, medications or even surgery to remove the adult worms from their heart. The treatment in hospital is very costly in compared to heartworm prevention. As result, it is much easier to prevent heartworms than to treat them. How can heartworm disease be prevented? Prevention is a far better policy. To prevent the heartworm disease, you need to keep your dog on some kind of preventive medications. There are various options available including topical solutions, tablets and chews. These days, most of dog owners use monthly medications, such as Revolution Dog, Heartgard Plus, Sentinel Spectrum Tasty, Advocate, Milbemax, Panoramis and Interceptor Spectrum Tasty. Some dog owners prefer to give these preventatives all year round, while some use these from early spring until the winter. If you live in high mosquito areas, give your dog year round coverage with monthly heartworm preventative. By this way you can keep your furry family members healthy, happy, and heartworm-free!